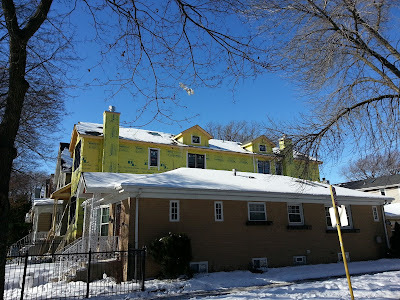 I took this photo of a typical new construction house going up in North Center adjacent to an original, modest ranch house. Super writer Patty Wetli posted and interesting article today on the changing economics and demographics of the North Center neighborhood in Chicago. There is interesting info on real estate and the local schools in the article from Alderman Pawar. I have been selling and writing about the North Center market for many years. Long desired Bell school and the emergence of Coonley and Audubon elementary schools have helped push up real estate values in North Center. However, the luxury market demand has seemed to surpass the demand for good schools making North Center a "bedroom community" (my words) standing on it's own. My take is that high income earners are grouping together as a socioeconomic thing regardless of public schools, transportation, jobs or other factors. The location is fairly central (important) and the real estate stock has been available for acquisition and redevelopment. 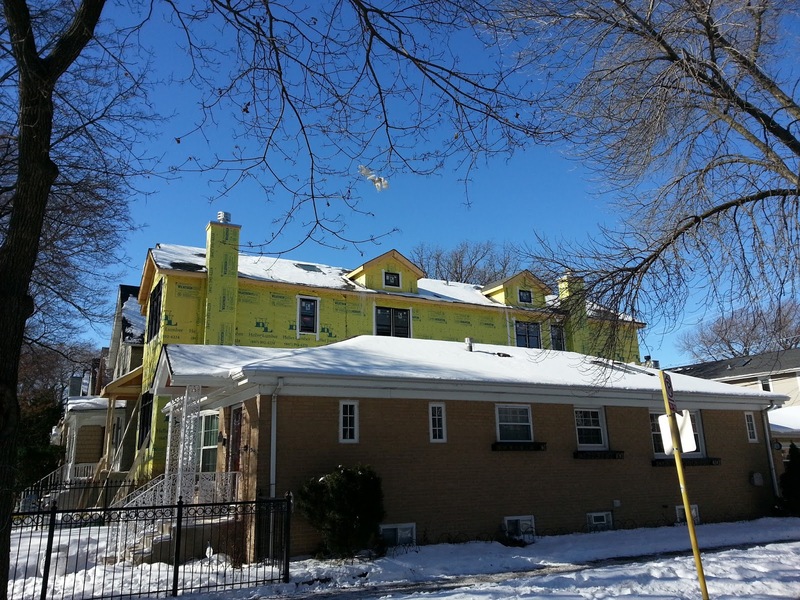 You have to have willing sellers to redevelop all these houses.